One hundred years ago today, one of the biggest volcanic eruptions in recorded history took place in southwestern Alaska. The volcano, known as Novarupta, is located in what is now Katmai National Park, which was established in 1918 as a direct result of the eruption and its effects on the landscape. As a result, this anniversary is a big deal for the National Park Service in Alaska, which has a special issue of its journal Alaska Park Science devoted to the eruption as well as a special webpage of information on volcanoes in the region. 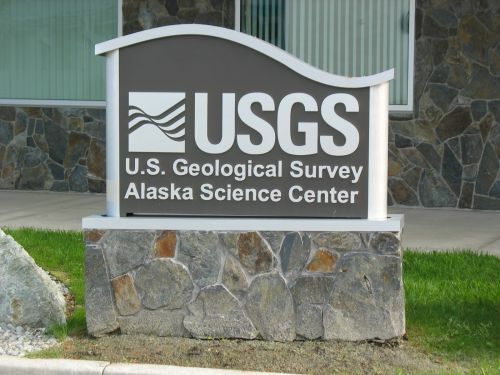 The main institution involved in Alaska volcanology, however, is the Alaska Volcano Observatory, a joint program of the US Geological Survey, the University of Alaska Fairbanks Geophysical Institute, and the State of Alaska Division of Geological and Geophysical Surveys. They are spearheading much of the commemoration of Novarupta and have their own website listing events and other information on it. The eruption of Novarupta began on June 6, 1912 and continued for three days. There are various contemporary reports of the eruption from people who were in the area at the time, including one by I. M. Dailey of the US Coast and Geodetic Survey, who was stationed 150 miles away in Seldovia at the time, which was soon published in the Bulletin of the American Geographical Society and is now available free through JSTOR. 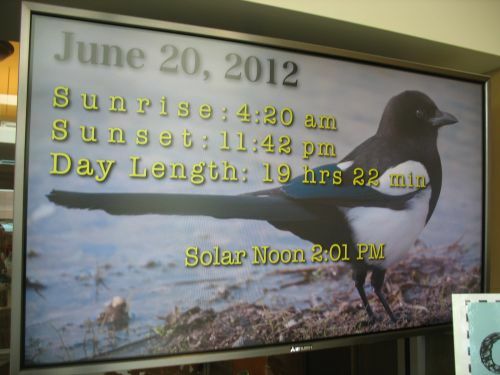 Other reports come from the larger town of Kodiak, even closer to the eruption, where a foot of ash fell in the course of sixty hours of darkness. A fuller picture of what had happened at the site of the eruption itself didn’t emerge until a series of expeditions over the next few years sponsored by the National Geographic Society traveled to the vent site and undertook a variety of studies that had an enormous impact on the emerging field of volcanology. In an article in the aforementioned special issue of Alaska Park Science Judy Fierstein, a USGS volcanologist who has done extensive research at Novarupta and other volcanoes at Katmai, summarizes both the early reports and studies and more recent work that has clarified the reconstruction of exactly what happened over those three days in 1912. Many of the early National Geographic expeditions were led by the botanist Robert Griggs, who would be quite influential in shaping interpretations of Novarupta. He discovered and named Novarupta itself, although Fierstein notes that he actually concluded erroneously that the main vent for the eruption was not there but at Mt. Katmai six miles away, which collapsed dramatically into a huge caldera during the event. Subsequent research has revealed, however, that while most of the magma that erupted was indeed stored in a chamber under Mt. Katmai, it actually erupted through Novarupta. Understanding exactly how this complicated internal “plumbing” system of the two volcanoes worked is one of the continuing challenges in ongoing research on the eruption. Griggs also discovered and named the famous “Valley of Ten Thousand Smokes” where flows of ash from the eruption filled a large valley downslope from Novarupta. At the time Griggs visited just a few years after the eruption, this valley was filled with steaming fumaroles where the still-hot ash met various water sources, and the astonishing sight prompted the poetic name. Within a few more years, however, most of the fumaroles had stopped steaming, and they’re pretty much all dead now. 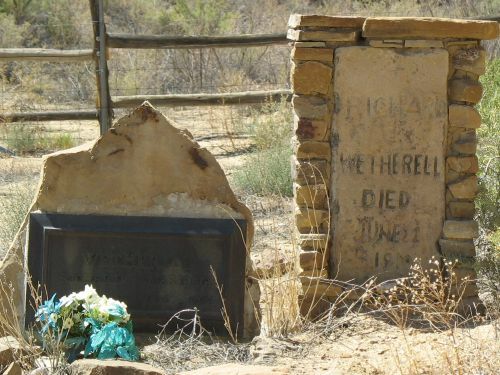 Still, the name remains, as does the strikingly barren landscape with little vegetation having recovered even a hundred years later. The area is so otherworldly that it was actually used as a training ground in the 1960s for astronauts preparing to go to the moon. Remarkably, despite the scale of Novarupta, which ejected more than three cubic miles of magma in the form of a cloud of ash thousand miles wide and 100,000 feet high that wind currents eventually carried as far as Algeria, there were no deaths from the eruption. The inhabitants of the three Native villages near the volcano had fled after a series of earthquakes in the days leading up to the eruption indicated that a major catastrophe was likely, and the few other communities in this sparsely populated area were far enough away that the levels of ash fall they received were substantial but not deadly. Even Kodiak, which was the hardest hit community due to both proximity and wind direction, managed to get through the initial period of fear and panic during which the whole population took refuge on a Coast Guard cutter docked in the harbor, and it soon recovered its earlier prosperity. The residents of the three closest villages were unable to return to their homes, of course, and were resettled in other communities elsewhere on the Alaska Peninsula, where their descendants reside to this day. All this is in striking contrast to the death toll of over 36,000 people from the eruption of Krakatoa in 1883, which was of a similar magnitude but occurred in a much more densely populated area. Indeed, the lack of major cultural or long-term environmental effects from Novarupta (outside of the immediate area, of course) initially led one prominent archaeologist, Don Dumond of the University of Oregon, to initially discount the role of volcanic eruptions in general as a force shaping the culture history of the Alaska Peninsula. Dumond conducted long-term excavations primarily in the Brooks River area of Katmai National Park from the 1950s to the 1980s, and his interpretations based on that work have been enormously influential in shaping interpretations of the region’s prehistory. Initially he saw no particular correlation between the numerous volcanic ash layers in his Brooks River sites, which he assumed came from eruptions of the numerous local volcanoes, and the cultural changes visible in the archaeological record. More detailed geophysical work on the ash itself, however, led one volcanologist to suggest that some of the larger ash layers at Brooks had come from various known eruptions at Aniakchak, a very large volcano about 150 miles further south on the Peninsula. If eruptions had deposited ash that far away, they must have been much larger than Novarupta, which would therefore not necessarily be a good guide to their ecological or cultural effects. Dumond therefore decided to look over the record of ash deposits and culture history in other parts of the peninsula to determine if these ash layers really were as widespread as they should be if they came from Aniakchak or another very large volcano. He published his findings in a 2004 paper, and the results were intriguing but inconclusive. 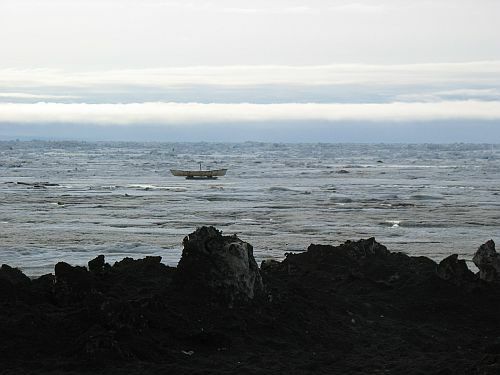 Many other sites on the Peninsula did have ash layers that could potentially be from the same eruptions as the major Brooks River ones, but difficulties in precisely dating these layers and relating them to the dating of the known eruptions at Aniakchak left the issue largely open. While this particular study was largely inconclusive, I find the general idea of trying to determine the relationships between volcanoes and human history very interesting (as longtime readers will recall), so hopefully more research along these lines in this exceptionally volcanically active area will shed more light on the question, which is potentially of great importance in explaining certain cultural and linguistic phenomena. Regardless of whether volcanic eruptions were major factors in the prehistory of Alaska, it’s clear that they are a major risk factor for us today because of a new development since 1912: the rise of air travel. We need only recall the havoc wreaked by the eruption of Eyjafjallajökull in 2010 (a vastly smaller eruption than Novarupta) to realize how big an effect a major eruption can have on aircraft, and southwestern Alaska is one of the most heavily traveled air routes in the world for both passengers and freight. Indeed, one of the main reasons the Alaska Volcano Observatory was established was to monitor Alaska’s volcanoes for their risk to air traffic. One study using simulations based on the scale of the Novarupta event found that a similar event today could potentially shut down essentially all air traffic throughout the northern hemisphere (and, in the unlikely event that ash moved into the southern hemisphere as well, even the whole world). And note that this is by no means an extremely unlikely occurrence; eruptions of this scale happen regularly, and while there hasn’t been one since Novarupta, there’s every reason to think another one will happen at some point. The only thing to do is to keep watching the volcanoes and studying their past eruptions to try to glean insights for the future. This hundredth anniversary of one of the most important such eruptions is an excellent opportunity to remember that. I recently had the opportunity to spend a few days in Barrow, Alaska, which is a really fascinating place in a whole bunch of ways. It’s certainly unlike any other place I’ve ever seen, either in Alaska or outside it. The coexistence of a vigorous tradition of subsistence whaling with a huge influx of money from the North Slope oil fields, combined with the presence of numerous scientists and other researchers stationed at the former Naval Arctic Research Laboratory (NARL) gives the place a mixture of cultures and perspectives that I’m pretty sure doesn’t exist anywhere else in the world. The unpaved streets and rough wooden facades of the buildings in Barrow belie the extremely sophisticated infrastructure supporting them. 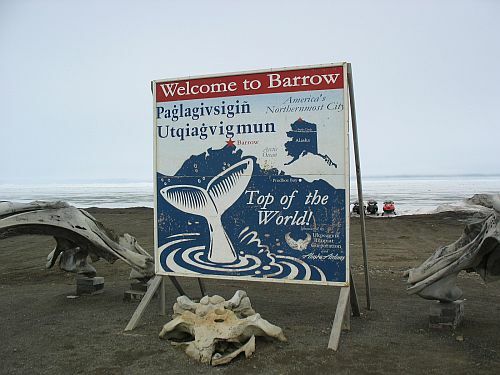 The modern community of Barrow descends from the ancient Inupiat village known as Utqiagvik (also known as Ukpiagvik), and a portion of the old village is still visible as ruins within the modern city. There’s not much to see except a series of low mounds representing old houses, but some of the mounds still have bits of the whale bone supports of the houses protruding, which is interesting. 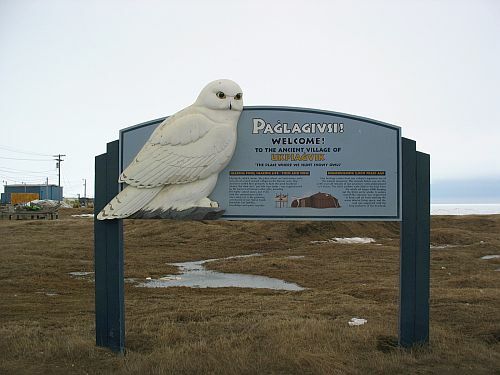 Much of Utqiagvik has been excavated, and an interesting article by Georgeanne Lewis Reynolds published in 1995 explains some of the lessons learned for archaeology more generally from the excavations at this site. Reynold’s approach falls within the “behavioral archaeology” school established by Michael Schiffer at the University of Arizona, which emphasizes the “formation processes” that lead to the archaeological record as it uncovered in excavations. The basic idea behind this is that what we see in a site when it is excavated is usually not a “snapshot” of daily life at a given moment in the past, a la Pompeii; instead, it is usually a sort of palimpsest of a variety of activities in a given location over time, further complicated by natural processes that occurred after the final human use of the site that serve to further obscure human activities. 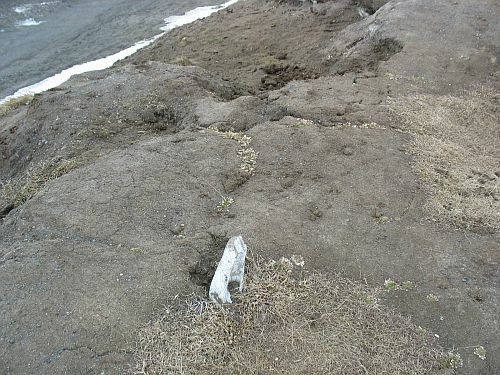 This general area of study is known within archaeology by the term “taphonomy” (itself taken from paleontology), although Reynolds does not use this term in her article. As Reynolds points out, these natural processes are particularly important in the Arctic, where freeze-thaw cycles lead to major movements of soil layers and associated artifacts, coastal erosion destroys significant parts of sites like Utqiagvik located on coastal bluffs, and the sudden movement of large blocks of ice onto the bluff top, known in Inupiaq as ivu, can catastrophically destroy anything in the ice’s path. 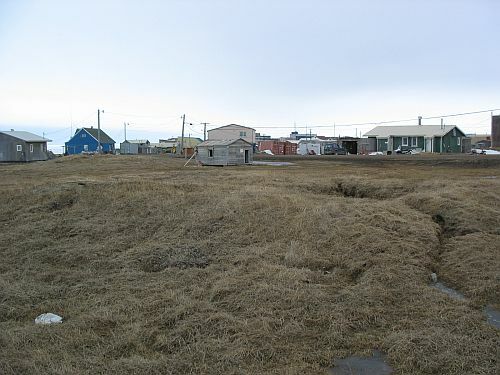 One famous ivu at Utqiagvik appears to have killed the well-known “frozen family” at Mound 44, preserving in place a Pompeii-like scene of domestic life that has provided details of ancient domestic life not generally available, but at the cost of also destroying much other evidence about the house on account of its destructive nature. 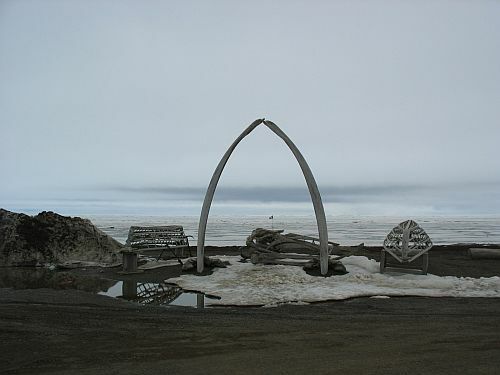 As for cultural formation processes, Reynolds identifies abandonment and reuse of structures as the main processes that can be detected at Utqiagvik. Many house mounds were abandoned, with most of the usable artifacts and bulding materials in them either taken away by the inhabitants who left or scavenged later by others, with the result that few conclusions about specific uses of space within the structures can be made. Some of these were later reused, which adds additional complications to interpretation. Ultimately, Reynolds concludes that formation processes are more easily determined at sites like this at the level of architectural units (i.e., houses), rather than at the level of individual artifacts. All the formation processes she describes have a tendency to move artifacts away from their original locations where they were used, meaning that few conclusions about artifact use or social practices can be made from the locations where artifacts were excavated. The overall assemblage of artifacts from a given structure is a more reliable guide to the use of that structure in general, although even here processes such as abandonment and reuse complicates the picture for any given time period. This may all seem fairly obvious, but it actually constitutes a fairly strong critique of the influential approach to archaeological inference promoted most famously by Lewis Binford, whose “processual” approach (part of the “New Archaeology” he and others spearheaded in the 1960s) depends crucially on the ability of archaeologists to draw wide-ranging conclusions about prehistoric societies based in part on the distribution of artifacts in excavated sites. Schiffer’s focus on the ways the archaeological record was actually formed is an important reality check on this approach, emphasizing that these sorts of conclusions can really only be made when certain specific conditions obtain. Reynolds’s paper serves largely to apply this general approach to the exceptionally complicated situation in the Arctic, where things are not necessarily as they seem.